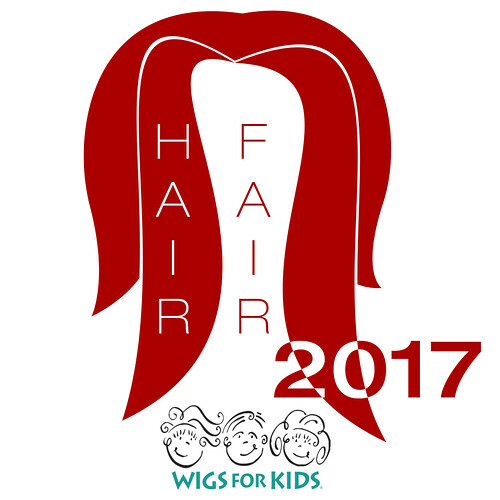 This Hair Fair has been a real eye opener, as in if you don’t keep them open, you will miss a lot of very important information and features. Because of Hair Fair, I tend to spend the leading up months in a bit of an ‘under a rock’ mode. While I was aware these features were a thing, I did not see the different ways they were being included in people’s products. This is not specific to the hair featured, this is just a lesson I learned last night on another full sim shop. When trying a demo, I tend to not bother with the colour huds, I know what I like, am often familiar with the stores colours, and just look at the hair and the sizes the hair may come in. This almost bit me in the bottom last night, in a way that would have lost me some very exciting hair, and also cost the creator some lindens, because I was about to not purchase, all pouty and sad face. I had tried on a style, loved it, was all excited about it leading up to the shopping outing, and tried the one demo option and cried. It did not fit me in the chest. Now I am used to the stores that do + options or (_)(_) options or just Breasts and every other type of naming. So seeing only one, lead me to believe there was only one. However, when I was still pouting on my Hair Fair Bus with Ashia and Vivian, I was trying to edit the bus to move it and caught my hair, when I did it showed there was more to the hair than visible. Now again, I know that transition hair is very popular now, it has however been a thing since before I was born in SL as I remember it back in 06…but comes and goes, and it is full steam ahead mode now, as mesh makes it more desirable . However I had only seen styling HUDs included with the packs, so that if I saw one of those, I knew the hair did more, it had more options. What I didn’t know, was that some stores are doing that part in their COLOUR huds. So again, not bothering with needing to see the colours, I did not put the hud on and see the other features. Now that being said, the styles being featured today, also have the transition options in their colour HUD, but by the time I was trying that hair on I was a smarter hair enthusiast, and prepared for this to be a thing. It however fit me, so that would have not been a need, but it was a lovely surprise to find that there were so many bangs options for the ponytails style. So the moral of this story, as long as it is….is GO BACK TO HAIR FAIR and anything you did not think fit you properly when you demod, may be worth revisiting and trying again, because there may be hidden options for that exact thing. Now onto the goodies. The styles featured are from Amacci, as the title of the post suggests, and whatever Carina has been doing of late, she needs to keep on doing, because everything is just beautiful. The options, the textures, the styles, all just work in the perfect combination of needs. Her booth is lovely, the ads are so pretty, it was just a really exciting feeling entering her space. Another store that blows my mind everytime they release anything is Mutresse, now I have mentioned in the past the incredible amount of texture change options in every piece of her work, but this time it is simply taking the time to utilise the way you see her items in a folder. We all know that folders unpack in a mess, and one extra space behind a name can throw one item to a completely different place in the folder than the rest. Now with sizes and bodies to cater to, tops and bottoms and all that jazz, it can be chaos. I noticed in the last Slink update that they had also done a bit of work on making sure that all notecards sat at the top of their folders, by using * at the front of each title, putting it at the top. I myself use symbols in my inventory to put things where I need them… exclamation marks put things at the top and ~ tilde symbol puts things at the bottom, which is helpful for folders inside other folders. Not only do they have great style, but they have a complete understanding of how customers need to see at a glance what they themselves need. Now need is important too, because you all need this tunic and bikini set just released at Collabor88. The tunic is beautiful lace, and fits perfectly over the bikini, but it also fit over these capri pants by Maddict, and as often as I can, I try and find combinations you can mix, as it does play a big part in deciding what to invest your lindens in. The bikini top and bottoms have separate ties attachments, and everything has texture change options, not only in lace similar to the tunic, but the top and bottoms also as shown come in solids versions. I personally would love to see a solid version of the tunic, but that is just a wish not a need. I am wearing the outfit with some also by Mutresse shoes, that were actually last months C88 item, they also have many colour combos you can go with, but when I wear them in all black, they remind me of Irish Dancing shoes, and that is just too cute. I changed skin for the first time in a week, and went with the Paris skin by YS&YS, I really like the detail on this skin, and I opted for some recent Powder Pack make up by Alaska Metropolitan, who has an incredible talent for make up. Using the tinting option on the LeLutka head HUD, I was able to make the eyeshadow a touch closer in colour to the beautiful lipstick. It tinted so well actually I will get colours for days out of it. The tinting option on your head HUD is the paintdrop icon under the posestand option. Lastly, and if you are still reading, I applaud you, the necklace by Maxi Gossamer is also at this round of C88, and it fits so well with a little rotating and moving, no resizing needed for me. Changed the textures to ones in keeping with my theme and voila, fabulous.